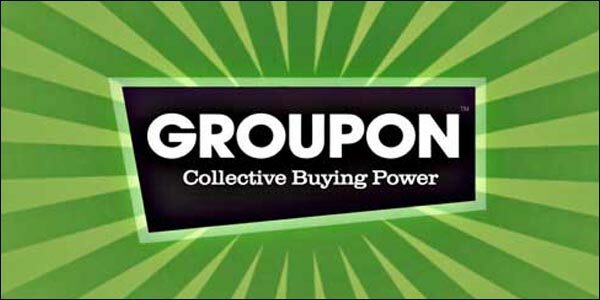 Groupon Plans Public Flotation For The Princely Sum Of $750 Million. Posted on 3rd June 2011 at 12:59. So wrote Groupon’s founder and CEO, Andrew Mason, in a letter to shareholders ahead of the proposed public offering of the world’s biggest and most successful daily deals business. So, what’s the plan? Well, Groupon has filed an IPO with the Securities and Exchange Commission in a $750 million public flotation underwritten by Morgan Stanley, Credit Suisse and Goldman Sachs. That in itself is no great surprise: the group buying company has taken the internet marketing world by storm and grown at a rate that’s surpassed everyone’s expectations. The move has been expected for some time, but you have to ask why now? Maybe it was decided that now was as good a time as any, particularly given the shining examples of both LinkedIn and Russian search giant, Yandex, who’ve successfully gone down the same road recently. However, what makes this proposed flotation different is that Groupon, however successful it may appear, is not currently profitable. So what exactly is going on? The IPO filed with the SEC reveals that Groupon’s revenue for 2010 was $713 million. That’s a 23-fold increase over the previous financial year. Figures for the first quarter of 2011 show the daily deals company made a whopping $644 million, which stands as a testament to just how quickly the company is growing. Groupon’s subscriber base has also grown exponentially, with the company now servicing deals for 83 million people in the first quarter of 2011 alone – up from 50 million in the last quarter of 2010. On the face of it, things couldn’t really look rosier, could they? Unfortunately the company has started to pay the price for this phenomenal rate of growth and now finds itself running at a loss. Now some investors will obviously put off by this lack of profitability, but Mason remains as upbeat as ever, and maintains that the company will eventually reap the rewards for all its investment in the medium to longer term. His often quirky methods have been criticised in the past, but he’s not for turning: Groupon will come good again, of that he has no doubt. Does Every Link Have The Same Kudos?Do Your Readers Understand Your Website Content?